RJ stars in POWER RANGERS 2017! This photo features one of our recent graduates, Bailey Axen whom had 10+ Hollywood agents and managers ask him for a call-back. He stands proudly in front of RJ Cyler, a CGTV Graduate, and Hollywood Star. He hopes to follow in RJ’s footsteps and even met RJ and was able to perform on the same stage with him at Hollywood’s ACME theater, led by CGTV and The Celebrity Experience’s Adrian R’Mante. 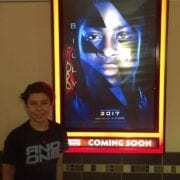 CGTV Graduate RJ Cyler stars in POWER RANGERS 2017! RJ’s current IMDB profile reads as follows; CGTV Graduate RJ Cyler stars in POWER RANGERS 2017! The one thing it doesn’t mention is that the acting “camp” was the CGTV Acting Program. In particular, The Celebrity Experience. Since we spotted RJ at a local city audition, he has been nominated for awards, taken the part of The Blue Ranger in the upcoming Power Rangers 2017 and scored a meaty role in a new movie with Brad Pitt. “Bex Taylor-Klaus was born and raised in Atlanta, GA, a fourth generation Atlantan. She has two passions that she has pursued throughout her life: sports and acting. An all-around athlete, Bex played on her high school Varsity Softball team as a Freshman (Catcher & 3rd base). Bex’s acting training started with Shakespeare in an after school program in the 3rd grade, and was a consistent part of her extracurricular life and summers. In high school, Bex performed in her school’s Improv Troupe – she loves comedy and Improv – and with friends started a Junior-High Acting Troupe to train young actors. CGTV Graduate RJ Cyler stars in POWER RANGERS 2017! At 18, Bex moved to LA in the summer of 2012 to begin her acting career while finishing High School. As a series regular in The Killing (2011), Bex’s first official role as an actor is the part of Bullet. Bex writes about playing Bullet, “to be an actor is to want to visit the dark places that humans strive so hard to stay away from.” She is having the time of her life, fulfilling her dreams, and doing the work she loves. If you are considering the acting program at CGTV be prepared for the success that may follow if you put in the work. 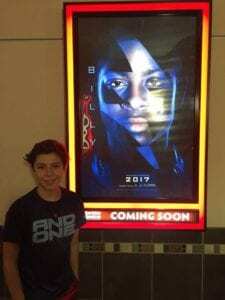 CGTV Graduate RJ Cyler stars in POWER RANGERS 2017! https://cgtv.la/wp-content/uploads/2016/10/14520555_1147163962018812_8483506786773108120_n.jpg 960 720 R'Mante https://cgtv.la/wp-content/uploads/2018/10/CGTV-Logo-300x106.png R'Mante2016-10-20 16:02:312017-04-21 16:14:49RJ stars in POWER RANGERS 2017! Is CGTV Real? The Proof is in our Results! Is CGTV real? Parents love to see their kids reach their full potential. We would argue that nearly every parent’s desire is to support their children as they seek to live out their passions. These passions might be in music, sports, academics or other areas of the arts. No matter what they are, parents want to facilitate successful outcomes. Jenae attended the CGTV program in June of 2015. In her words, it was one of the “best decisions I have made in my life.” After being professionally packaged, she was able to perform in front of over 15 Hollywood agents. You read that right, she received over 15 callbacks! MacKenzie attending CGTV’s summer programming. After her experience, she was offered work almost immediately. Her biggest role is Shelby on Best Friends Whenever on the Disney Channel. MacKenzie’s parents credit the CGTV program with helping open up the doors to many great opportunities. These are just two in thousands of success stories from CGTV grads. Part of the reason our graduates realize such great success is that we don’t forget about them once they leave our programs. We are consistent in following through to ensure that they are staying the course to reach their dreams. So does our program work? The answer is unequivocally, yes! If an actor puts the time and effort into the consistency needed to make it in the entertainment business, the possibilities for future success are endless. Coupling talented kids with a program that is provides them the tools they need as well best connections in the industry provides another step in the right direction. For more information on how we can help your child reach their full potential in the entertainment industry, visit the CGTV website. https://cgtv.la/wp-content/uploads/2016/07/13177276_1333837879966641_4907299685318385418_n.jpg 720 405 R'Mante https://cgtv.la/wp-content/uploads/2018/10/CGTV-Logo-300x106.png R'Mante2016-10-10 19:11:032016-10-20 16:04:06Is CGTV Real? The Proof is in our Results! CGTV Graduate Is Sponsored to attend! In our last blog, you learned about the success of one of our graduates, Zeah. CGTV Grad Is Sponsored to attend! This is a follow up on her continued success and is surely a great article for anyone scouring the internet for CGTV reviews. “On January 12, 2016, Zeah received an exclusive invitation to attend the CGTV Pilot Program Training in Universal City, California. This is an elite program offered only once a year, and Zeah is one of 30 children invited to participate in this accelerated, 4 week training program. We have less than 2 weeks to raise $9,500 for program expenses and travel & housing accommodations, which will allow Zeah onsite private acting training with active, practicing celebrities, auditions for 2016 Pilot Season for Film & Television in Hollywood, California, exposure and opportunities with more industry professionals, and more. We are considering creative ways to raise funds for this exclusive opportunity for our daughter. If you, or any organization or company you know, are willing to sponsor Zeah’s next step in her personal & career development, she will in exchange, create a unique promotion or commercial for your organization and/or company. As a result, Zeah received some donations, as well as one offer of sponsorship – which created the opportunity for her to work on her first paid commercial project. She was assigned to write, produce, and film a commercial for Dr. Aki Oshita, Gonstead Chiropractor and owner of Cornerstone Community Chiropractic. Here’s the final product that Dr. Aki used on his Facebook page to promote his practice, and Zeah’s passion for acting. While we did not meet the fundraising goal to return to LA for CGTV Pilot Program in February 2016 it did not shake Zeah. Rather, it refocused her and her determination increased. The program had PREPARED her for rejection. Toward the end of February we received the TCE demo reels recorded at Universals Sound Studio so I was able to submit Zeah’s complete package to our local talent agencies. I submitted her package to 4 agencies, 2 of which were SAG-AFTRA franchised. Both SAG-AFTRA franchise agencies replied to schedule a meeting with us to meet Zeah and to go over their expectations as an agency. Following meeting with ADR Agency, they were interested in representing her. 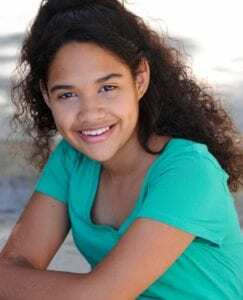 After researching the 2 SAG-AFTRA franchised companies in Hawaii, and meeting personally with Talent Agent Ryan Brown, Zeah signed with ADR Agency. CGTV Grad Is Sponsored to attend! That same week, prior to signing with ADR, we self submitted to Hawaii Actors Network (HAN) for the lead role in “Yes Mama”. This was Zeah’s first audition in our local market place and she used the skills she learned from TCE and Adrian’s CGTV training videos to prepare for this audition. Additionally, I recorded one of Zeah’s rehearsals and sent it to Adrian for his feedback. He offered some suggestions for improvement, Zeah made the adjustments, and she did an amazing job at her audition. 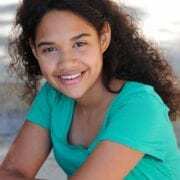 The first audition resulted in a callback and a second audition which eventually lead to Zeah being offered the lead role of “Millie” in the Hawaii Student Short Film Project, “Yes Mama”. The Director envisions this film in 2017 film festivals – we are really excited for that and pray that things line up. CGTV Grad Is Sponsored to attend! Prior to filming, we had 2 weeks of rehearsals which was a very interesting and a great learning experience for our entire family. 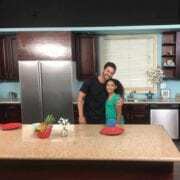 Filming took 4 days and it was an amazing experience for Zeah. As parents, we literally watched our daughter mature over the two weeks of filming. Her commitment to the project was amazing (for lack of a better term). This was a student film so there was only one camera, one sound person, and they filmed on location – which resulted in many many many retakes because of sound quality and/or noise from the environment (ambulances, planes, dogs barking, neighbors talking….hahahaha…you catch my drift). On the final day, as we left location – and the last day was a very long day, I asked Zeah how she felt. To my surprise, she responded with “I LOVE ACTING!!! WHEN CAN I DO ANOTHER MOVIE?? ?” I expected her to tell me it was too much work, or it was too hard, or something to that effect – but her response demonstrated that acting is truly her passion and that the amount of work that is required to complete a project will not stop her from reaching beyond the stars. CGTV Grad Is Sponsored to attend! In April 2016, Zeah was formally invited by BNI KOA Chapter in Ewa Beach, Hawaii to be their ‘youngest entrepreneur’. Zeah attended their new member orientation and instantly connected with many businessmen and businesswomen there. She shared a 20 second overview of who she is and her goals and aspirations in life. The members were very supportive and impressed by her poise and ability to know what she wants and to go after it at such a young age. Zeah intends on joining the BNI KOA Chapter as soon as she can create opportunities to pay for her annual membership. In June 2016, Dr. Aki at Cornerstone Community Chiropractic offered Zeah another paid project opportunity – to create an educational video teaching about Gonstead Chiropractic Care and the correlation of proper adjustments, appropriate home care, and overall health. Rather than it being an advertisement for his practice, he wants Zeah to create this video to teach about Gonstead Chiropractic Care as a whole to share with his colleagues and the Gonstead Community. Zeah accepted this opportunity and we are hoping to complete this project by the end of the year. She has to do extensive research before she can write and produce this project. Following Zeah’s participation with CGTV summer program 2016, we made a family decision to follow up with callbacks and book appointments with the Agents and Managers who showed interest in representing Zeah. 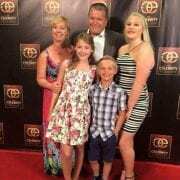 We knew that a lot of sacrifice and much transition was necessary in order to take the next BIG step in Zeah’s pursuits so we hosted a “Zeah’s Journey To The Big Screen” fundraiser in August 2016. This fundraiser was a great success and gave us an edge to commit to returning to LA for 3-4 months. On September 1, 2016 we brought Zeah to LA and are currently learning, experiencing, auditioning, building networks, attending classes, making friends, acclimating to the “home away from home” that we are creating for Zeah. It’s definitely a JOURNEY and we are so grateful to have the opportunities, network, and support we have gained through our participation with TCE and CGTV!!! Our family has grown so much over the past year because of our TCE ohana & CGTV ohana!!! CGTV Grad Is Sponsored to attend! Zeah is truly a blessing and has aspirations to become a celebrity so that she may inspire kids in her community, our beautiful state of Hawaii, and beyond. Her motto is “Be Grateful Everyday, Love God, Be Kind To Others” – she truly wants that message to circle the world. CGTV Grad Is Sponsored to attend! CGTV Grad Is Sponsored to attend! https://cgtv.la/wp-content/uploads/2016/10/13669244_1765352930352195_4568437429705076284_n.jpg 960 960 R'Mante https://cgtv.la/wp-content/uploads/2018/10/CGTV-Logo-300x106.png R'Mante2016-10-07 09:00:582017-04-21 16:15:27CGTV Graduate Is Sponsored to attend! CGTV’s Zeah Kaapana-Bates Sores Big! CGTV hosts auditions in cities around the globe and the CGTV reviews coming in from our child and young adult actors are nothing short of amazing. One of the cities we routinely visit is Honolulu, Hawaii. This is exactly where we found one of the brightest stars to graduate CGTV and The Celebrity Experience. Zeah’s aunt heard an audition for CGTV and The Celebrity Experience on the radio in Honolulu. Her aunt sent her mother the recording and urged her to take her daughter to this audition. Zeah was nervous and excited to meet and audition for one of her favorite Disney stars, Adrian R’Mante, Esteban, from The Suite Life of Zack and Cody. She says that Adrian made her instantly comfortable and she knew that she did her best and it was all she could do. She wasn’t sure if she would get a call back, but she knew that she could not have done any better, so she was proud of her efforts. When Zeah found out she was indeed called back to be a part of Adrian’s program, she was screaming and excited beyond belief. Her parents were excited but they wanted to wait to see what it was all about before making a final decision. They were excited to hear what Adrian had to say at the callback orientation. As parents, they decided to invest in Adrian’s program because they believed in his mission and vision. Zeah’s parents knew that his program included a training curriculum that would support their daughters aspirations of becoming an actor. They could see that the training would also contribute to their daughters development as a life long learner, individual, and contributing member of our community and world. “I loved meeting and training with all the Celebrities, playing all the improv games, and I was really excited when we got to meet and talk to Debby Ryan who played Jessie!”. Zeah was pretty nervous about performing LIVE at the ACME theatre in front of the Hollywood agents and Hollywood managers, but with the help of Adrian, her scene partner and a week’s worth of intensive coaching, she nailed it. Even mom could not spare a tear that evening. She had never been so proud and she realized there were going to be many more successes to come in Zeah’s future. Zeah received one callback from a Manager during The Celebrity Experience. Then, at CGTV, she received two callbacks from Agents and two callbacks from Managers. Lisa London said that her performance showed that she is ready to book jobs! Coming from the casting director that found Miley Cyrus, Jennifer Anniston and more, this was a huge nod that we were in the right place with the right people. When asked what the #1 thing she learned from Adrian she replied, “eye contact”. Zeah’s mom asked if she could add some final words to this story, and they are so beautiful we decided to include them. https://cgtv.la/wp-content/uploads/2016/10/Attachment-1-2.jpeg 3482 2826 R'Mante https://cgtv.la/wp-content/uploads/2018/10/CGTV-Logo-300x106.png R'Mante2016-10-05 16:25:002017-04-21 16:16:28CGTV's Zeah Kaapana-Bates Sores Big!